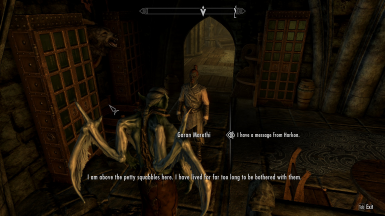 Ever wondered why Harkon can talk to you in his Vampire Lord form but you can't initiate dialogue while in Vampire Lord form? 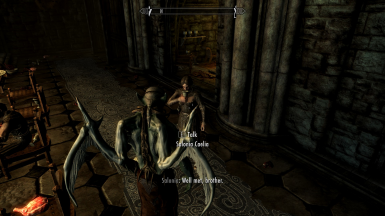 I did and I changed it so you can now initiate dialogue with all members of the Volkihar Clan. 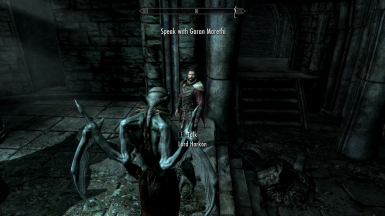 As you can see in the attached screenshots, Harkon is able to talk to the player while in Vampire Lord form. 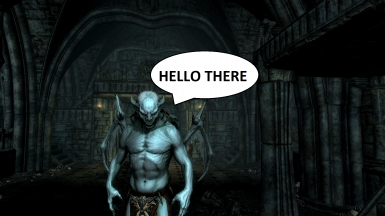 The player is also able to respond to him while being in Vampire Lord form. 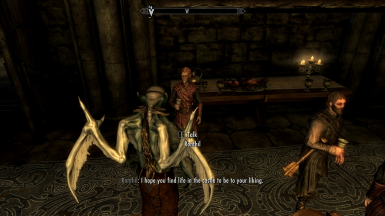 Thus we can conclude that the Vampire Lord form has the ability to speak, yet the player can't initiate dialogue with anyone while in Vampire Lord form. 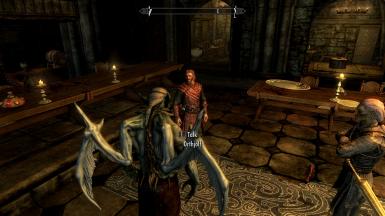 The player is not able to talk to other people outside of the clan as they would just stare in awe and/or attack the player since they have never seen such a majestic creature before. 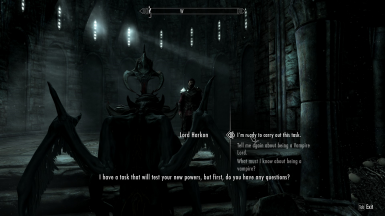 Please let me know if you have any other suggestions of who the Vampire Lord form should be able to initiate dialogue with. 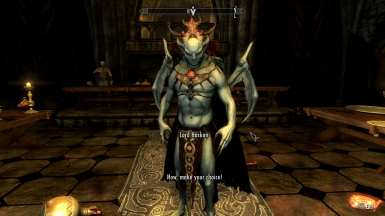 A mod that looks similar to this is Allow Vampire Lord Action﻿ but that mod and its variants also allow the Vampire Lord form to open chests, loot dead bodies, etc. 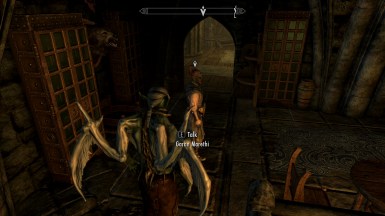 and enable the Vampire Lord form to talk to every NPC which I didn't want.